After about a year of being in beta Google has released the final version of Chrome Remote Desktop; it includes tweaks and improvements. Chrome Remote Desktop is cross-platform and works as long as Chrome is installed on the system. 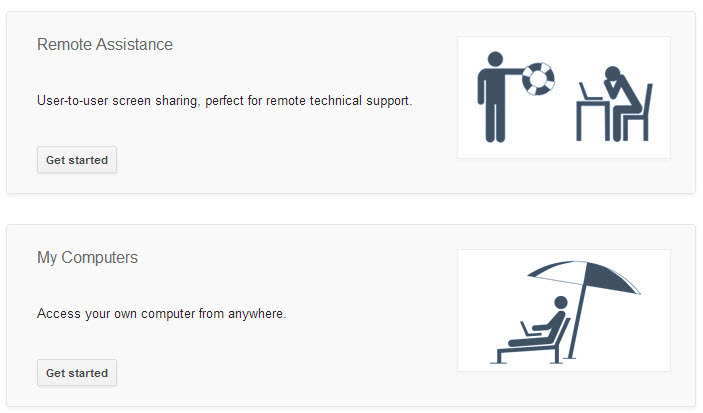 In other words Chrome Remote Desktop works and is available for Windows, Mac and Linux. You simply install the extension from the Chrome Web Store and you can use the application to access your desktop remotely or provide troubleshooting help to someone else (yay! a simple way to help my mom!). The final version adds features like copying and pasting between computers and streaming audio between Windows PCs. Sadly, the streaming feature is only available to Windows PCs. Chrome Remote Desktop is a free download. To get full desktop access, the computer needs to be running Windows Vista or Mac OS X 10.6 or above.